Welcome to Newport Beach, the ultimate coastal getaway where beauty, luxury, and relaxed elegance all meet. With miles of soft sandy beaches, year round sunshine, and picture perfect sunsets, the hardest decision you will make will be whether to stay for a day, weekend, or longer. Newport beach is accessible by private jet at John Wayne Airport (IATA: SNA, ICAO: KSNA), only a short drive to your destination. Over nine miles of coast line Newport Beach, making this destination perfect for a day of relaxation or adventure. Learn to sail in the country’s largest small yacht harbor or grab your surf board and catch a wave. Looking for something more laid back? Stick your toes in the sand. Lay back and relax by reading the perfect book or watching the waves roll in. Ready to move inland? 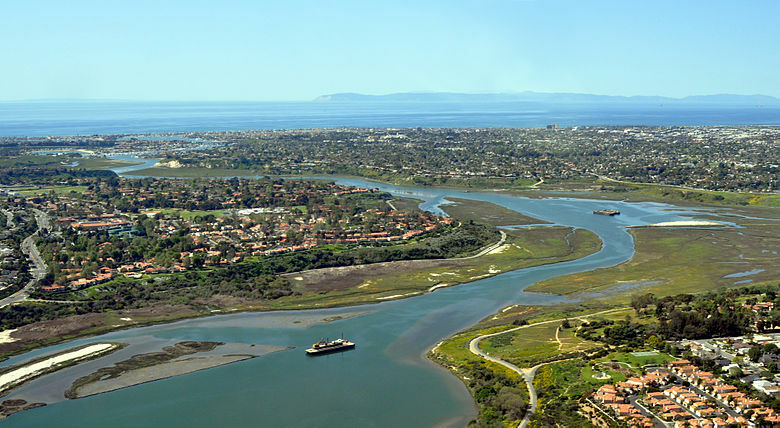 Visit Back Bay, the largest coastal wetlands in Southern California. A 10 mile path makes this place perfect for a walk, jog, or bike ride through mother nature. With so many things to do and see the toughest part of your day will be deciding how to optimize your day. Start you day with a visit to Fashion Island, the premier open air shopping center, with oceanfront boardwalks and boutique lined streets. Next, get into the swing of things at the local golf courses known for their lush green fairways, warm temps, and majestic ocean views. Finish up the day with a fresh catch at an oceanfront restaurant or fine dining establishment. Explore everything this vibrant coastal community has to offer. Santa Ana/John Wayne Airport (IATA: SNA, ICAO: KSNA) Adjacent to some of the most affluent neighborhoods in Orange County, Santa Ana/John Wayne Airport serves communities such as San Juan Capistrano, Irvine, Costa Mesa, Anaheim, Dana Point, Huntington Beach, Tustin and Lake Forest. There is major airline service and two FBOs on the field. Very stringent noise limitations require a steep climb out and power reduction on takeoff. The noise curfew prohibits late night and early morning operations.